Adidas is a top name in the world of sports apparel and gear, and the company has been recognized for decades by its trefoil logo. The trefoil, meaning three-leafed plant, is a symbol that looks like a three-leafed clover. Adidas’ version has three horizontal stripes running through it, and it’s been in use since 1974. The logo went away in favor of the “parallel stripes” logo for many years, but it’s come back in style as the official symbol of the Adidas Originals line. Clothing company Gap changed its original design featuring a navy blue background and thin, white, block letters to bring the company into the modern age. However, customers and fans didn’t receive the new logo well because it was said to be too basic, uncreative, and strayed too far from the classic design to be associated with the same company. As of 2013, the navy square logo came back in style as the official logo. The software giant Microsoft gained its fame for creating the Windows operating system that made everything easy for users by way of icons. 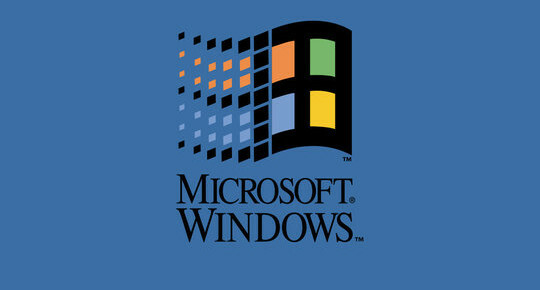 Speaking of icons, the original 1985 Windows logo resembled a window pane divided into four uneven quadrants. While the design went through several changes including a “wavy flag” format, the classic four-box design is back in style. The current logo has been slightly modified to have equal-sized quadrants, but the familiarity of the classic design is apparent. This famous German automaker first used a three-point star design as the company logo in 1909. After using a different logo featuring “Benz” wrapped in an olive wreath for some time, the star didn’t come back into the design until 1916. Today, the classic three-point star is back in style and serves as the centerpiece of the Mercedes logo. Many individuals wear the logo on jewelry as a neck piece, and it’s especially popular with rappers and in hip hop fashion. The iconic apple silhouette with a bite missing is the official logo of tech company Apple. The “bitten apple” was conceived in 1977, but back then it featured horizontal stripes of all colors. Today, the same logo has come back in style without the rainbow shades. The shape of the logo remains the same and is instantly identifiable, but it’s been given a sleek metallic finish instead. BMW, a long-time competitor with Mercedes, also had a distinguishing logo, featuring a circle divided into blue and white quadrants with “BMW” wrapped on top. This classic design came about in 1916, but the company changed it in 1970 by expanding the border details. However, the original design was simpler and more elegant, so it’s back in style as the current logo of this luxury car brand. When a logo works, hold onto it. These classic logos designs have made a comeback because they are what consumers associate with their brands. In the dynamic and diverse marketing climate we live in, that level of brand recognition is essential to establishing your brand as visible, accessible, and reliable. Informational credit to Marketing Exchange.